Sulfate free shampoo and conditioner keeps your hair looking great. If you’ve been using hair products from your local grocery or department store, chances are you are exposing your hair to the damaging effects of sulfates. 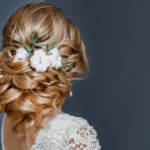 If you want to know how to care for hair extensions, you need to understand which hair products for remy hair will work best. Once you know the dangers of sulfates, you will see the advantages of choosing sulfate free shampoo and conditioner. Sulfates, which are a heavy-duty degreasing agent, are considered harsh chemicals. While these chemicals are effective at removing the oils from your hair, which is what most people think they need, they can also cause severe skin and scalp irritation. You may feel itchy or your skin may burn. Sulfates are the ingredient that is also responsible for burning your eyes. When you switch to sulfate free hair products for remy hair, on the other hand, you will eliminate this irritation and feel more comfortable after you wash your hair without compromising the level of cleanliness. You don’t want your hair to appear oily, but you also don’t want to remove all of the natural oils from your hair. Without natural oils, your hair will become dry and brittle and will be more susceptible to breakage. Sulfate free shampoo and conditioner can effectively remove excess oils without causing damage to your hair. 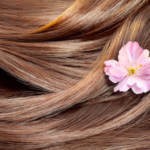 Choose the right hair products for remy hair. Due to the damage that can occur to your hair because of sulfate use, your hair is at a greater risk of falling out completely. While baldness can sometimes be hereditary, especially in men, some situations could be caused by using a shampoo and conditioner that includes sulfate. Switching to sulfate free alternatives will help reduce your risks of experiencing hair loss. While more studies are required, preliminary data shows sulfates can actually cause serious damage to the human body. In addition to harming the skin, sulfates may be partially responsible for the development of cancer, as well as damage to your immune system. Despite the fact there is no solid proof, it isn’t worth the risk when you can choose another alternative that has a better chance of being safe. Most people aren’t aware of what ingredients are in their shampoo and conditioner. However, if you are trying to determine how to care for hair extensions and wigs, sulfate free shampoo and conditioner should be your top priority. With these quality hair care products, you will keep your hair looking great without experiencing all the negative effects attributed to the presence of sulfate in cheaper shampoos and conditioners. If you’re looking for the best sulfate free shampoo and conditioner, contact us. We have created a line of quality hair care products that keep your hair clean and healthy.